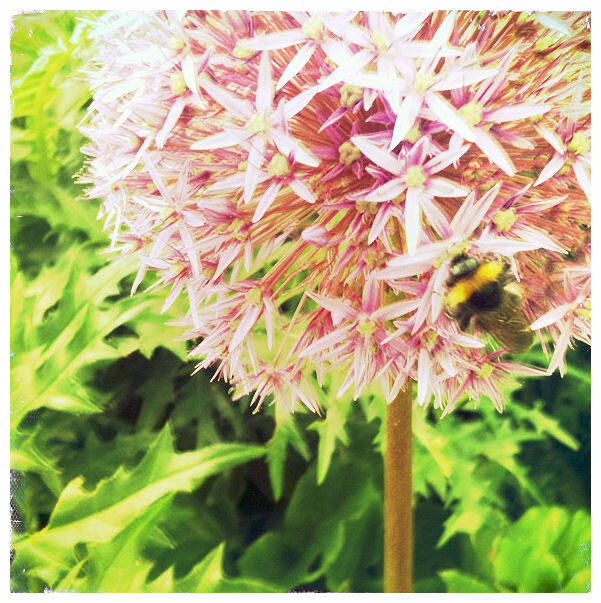 Over the last week, I’ve been having some fun testing out the iPhone photographic Hipstamatic app, which the makers describe as “an application that brings back the look, feel, unpredictable beauty, and fun of plastic toy cameras from the past”. The camera comes with three standard lenses called John S, Jimmy and Kaimal and three standard frame effects or as the app describes them “films” – Blank (a white border), 69 Ina (a beige fabric like border) and Kodot (a rough edged border on white). As you can see John S has a dark blue filter appearance, Jimmy a yellow filtered appearance and Kaimal a magenta/red filter appearance. Jimmy also comes through as the brightest – which works particularly well in the shot of the flower, on what was quite a sunny day. One of the hardest things about the app is that, much like the toys it replicates, the image in the viewfinder bears very little resemblance to the final photograph, thus making composing a shot rather experimental. So often a good shot can take up to 6 attempts – unless you can just get lucky the first time. 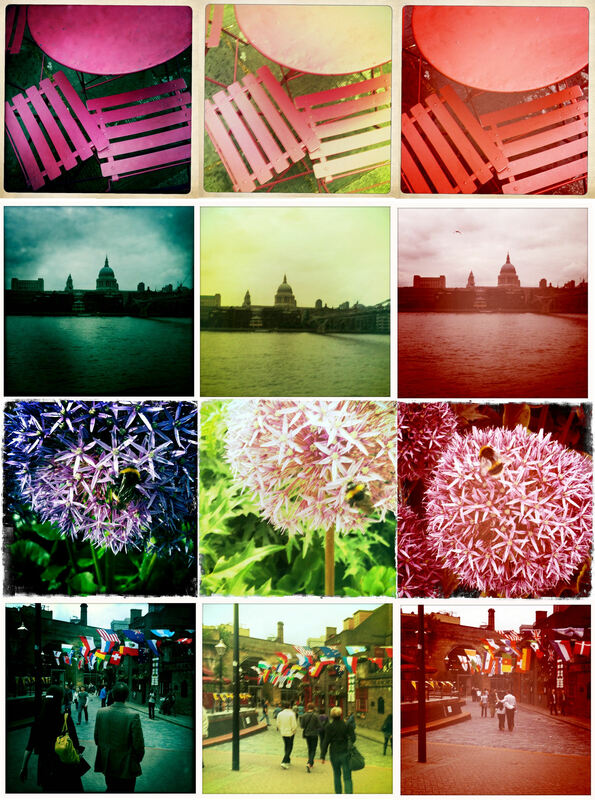 There is of course a Flickr group dedicated to the app, full of examples of what’s possible. My eye also caught this discussion in the group wondering if it gave users a false sense of creativity. Of which, I’m sure such queries were raised at the introduction of the Brownie camera in 1900, and of the toy cameras that the Hisptamatic takes its inspriation. It’s especially suited to tea, I think – and canals. It seems that Twitpic is using Amazon’s cloud to store pics and is giving sessions for the images, of which the one I used timed out. Will replace and upload with the original instead.